Are you getting the absolute best out of your German speaking skills? Let's talk! Are you getting the best out of your German speaking skills? Let's talk! To all of you who work, are able to, or looking forward to an opportunity to use your second, third or even fourth language, be proud of yourself first and secondly make sure your language skills are valued and rewarded accordingly because you could be losing out. We are not talking just financially, oh no! Any employer that wants to call himself a competitive employer should know by now that they better do. Don’t they? Opportunities for skills improvement, further skills development, and tangible opportunities to grow as a professional in the sector they have hired you for. There, we said it! And please do not hate us for it, we mean well. Maybe it is time to be proud of yourself by doing something that most people don’t have the courage to do, been proud of overcoming difficulties, fears of the new and unknown in order to achieve your goals and your dreams. After all, if you do not do it for yourself…Who will? 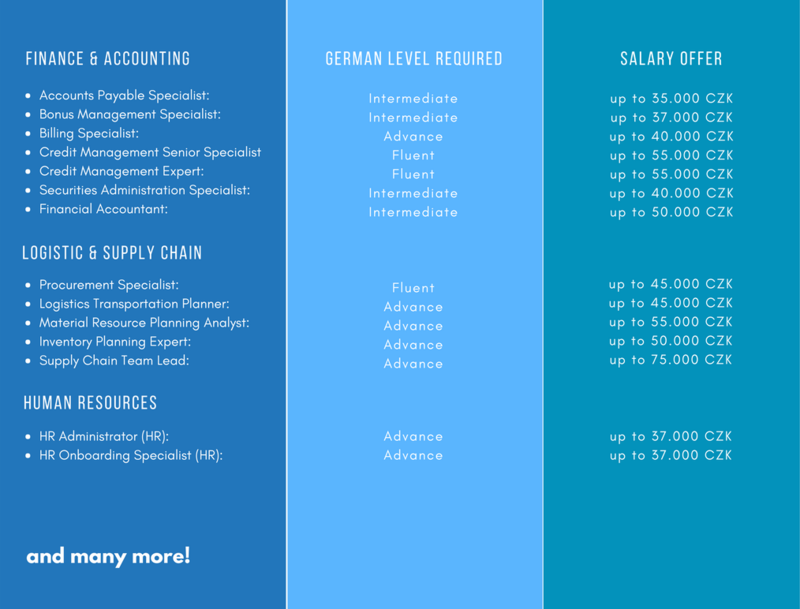 Here is a sample of some of the current job openings with German we can discuss with you. Browse pick yours or simply contact us to inquire about that specific one you are searching for, after all, all it takes is just a few clicks! Contact us by applying directly, we reply the same day to discuss your priorities and preferences and provide you all necessary details before you decide further. We look forward to hearing from you.